Every aspect of Taste & Savor has been designed with wine in mind. We want everything we do to enhance your wine drinking experience – from the temperature of the wine and the size and shape of the glass to a knowledgeable and friendly staff. 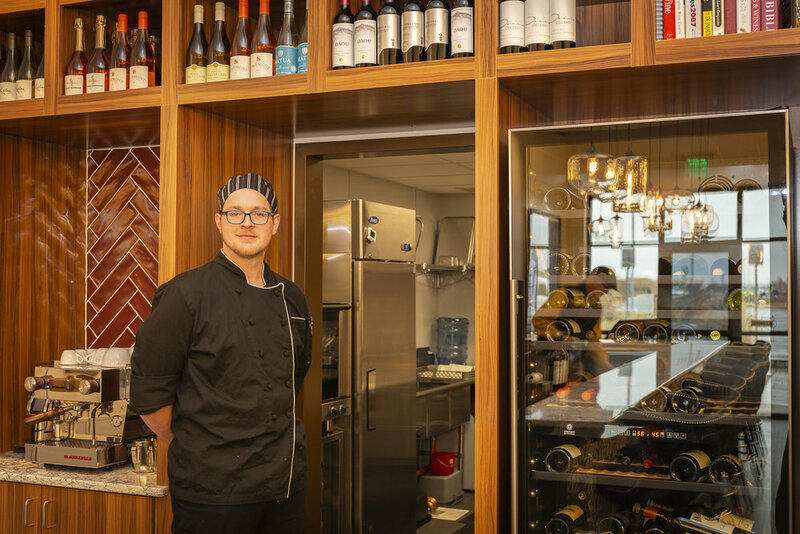 In addition to an extensive and ever-changing wine list, Taste & Savor offers a rotating menu of beers, champagne, cheese, meats, small bites and desserts. Taste & Savor is the perfect place to unplug and relax with exceptional food and drink. We take wine seriously but WE aren’t too serious. We want experiencing great wine to be fun! After moving seven times in 14 years Jim and Casey Ward settled in Fort Collins in 2006. In between moves, Casey worked for two major wine distributors while living in Los Angeles and Houston Texas. This direct access to wine sparked an appreciation for a variety of wines but more importantly, Jim learned to drink what you like not what everyone thinks you should like. After Houston, the job brought Jim and Casey to Perth Australia. The wine adventure was still in its infant stages but a whole world of great Australian Shiraz and Chardonnay was opened up, especially from the little know Margaret River Region. When Jim had the opportunity to move to Fort Collins, Casey jumped at the chance after spending a few days at the Armstrong Hotel in Old Town. Jim took on a new role rotating to Lagos, Nigeria while Casey stayed home to take care of the family. During the 6-year assignment Jim got to travel to France, England, Italy, Germany, Czechoslovakia, New Zealand and South Africa. Discovering some great wines along the way Jim really learned to appreciate French Burgundies and South African varietals. Work eventually brought Jim closer to home. Fort Collins has grown a lot and we have been fortunate to have some great friends. While there are some great beers and breweries in Fort Collins, Jim and Casey believed that Fort Collins was ready for a bar that catered specifically to wine. Taste & Savor will offer an ever-changing menu of wines, beers, champagne, cheese, meats and desserts. We want wine to be fun and educational for our community. Get all the important Taste & Savor news! ©2018 Taste & Savor. All rights reserved.